Fraunhofer Portugal AICOS will contribute to my-AHA project by providing the platform Smart Companion, developing a nutrition monitoring and intervention tool and the middleware server to promote the interaction and interoperability of the different platforms that will be included in my-AHA. Fraunhofer Portugal AICOS team will employ their expertise and knowledge in information processing, artificial intelligence, software integration and human-computer interaction. Inês Sousa is coordinating Fraunhofer Portugal AICOS efforts in the project and contributing with knowledge in signal processing, machine learning and artificial intelligence. Ana Correia de Barros is contributing to the project on tasks related to user research and human-centred design. The tasks consist mostly of close contact with older adults and caregivers as well as prototype testing in order to guarantee viable, usable and acceptable solutions to users. 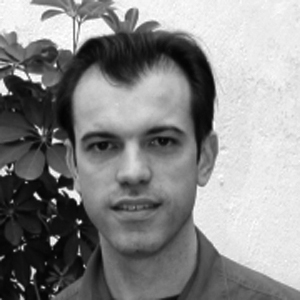 António Santos is designing the architecture and coordinating the implementation of the middleware server that will enable the integration of several monitoring and intervention platforms. Inês Sousa has a PhD in Biomedical Engineering and has been developing expertise and competences in the area of signal processing applied to different research fields, such as in situ drug delivery, functional magnetic resonance imaging and, more recently, fall detection, prevention and human motion analysis for ambulatory monitoring of the elderly. 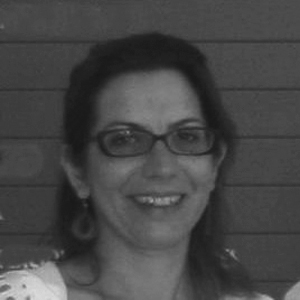 Ana Correia de Barros has a background in industrial design and holds a PhD in industrial engineering and management from Universidade da Beira Interior. Her expertise and competences are related to HCI with a focus on accessible and inclusive user interfaces for older adults, assistive products for Stroke survivors, human-centred design, accessibility and usability and inclusive design. António Santos has a MSc. degree in Computer Science and he is an expert in software architecture and development. He has been involved in several projects covering topics such as remote patient monitoring, energy management and awareness, social mining and serious games using motion sensors. IBV will lead Work Package 4 (middleware development). Their main contribution to the project will be the definition of algorithms to extract motion, physiological and behavioural data from the users, as a chief input to assess the risk of frailty. IBV will participate actively in technical tasks related to the interaction with the sensors, managing and processing the signals, as well as in the content- and end user-related tasks, involving users along the whole project, from user needs (WP2) to different stages of validation (WP7). Senior researcher in the R&D Area of IBV, with background in Industrial Engineering. He started his scientific career in the field of usability, human factors and ergonomics in product design, focusing on the automotive sector and older persons. 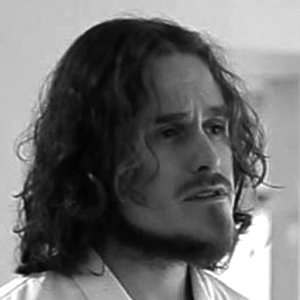 In his projects he has explored a large variety of techniques to measure and study the human physiology and the behaviour of the body in different contexts: from kinematics of the human body to cognitive engineering techniques, passing through the analysis of physiological signals. 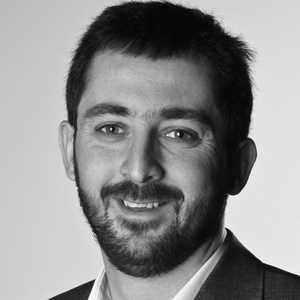 His current research interests focus on the analysis of human movements, particularly in the development of models and techniques to facilitate the accurate kinematic characterisation of human joints in functional and biomechanical assessment. He is specialised in mathematical and statistical methods for data analysis, and data fusion models and techniques. 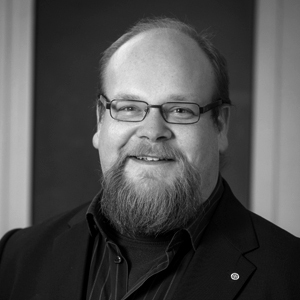 Senior Researcher in IBV with background in Telecommunication and Biomedical Engineering. He has mainly worked mainly in projects related with technical aids, senior citizens and people with disabilities, human computer interaction, usability and physiological response and eye tracking analysis. His Doctoral Thesis was focused on the use of physiological response and eye tracking to assess the effect of web usability on users with motor disorders. His master thesis based on use of physiological signals to assess user preferences was awarded with I+D Dependency Award of Caser Foundation. Master in Social Welfare, Social Worker and Gerontology, Since 1993 she has been working at IBV, being majorly involved in the areas: characterization and analysis of older persons, development of methodologies for designing user-centred products, design and guidance in technology and accessibility to improve the quality of life of the ageing and disabled persons. With 20 years of experience in providing support to the assistive technology sector and the challenges of the ageing population (companies, social services, public administrations, and end-user and caregivers’ associations), she has coordinated, managed and participated in numerous R&D projects. Moreover, she is currently external professor at the University of Valencia. ISMB will lead WP5 - iTV and mobile services - by studying and implementing the interaction between the user and my-AHA platform. In particular, ISMB will coordinate the activities for the developing of the cognitive games based on smart TV and mobile devices and of "my personal dashboard", the application used by the users to manage and follow her/his health status. Futhermore, ISMB will actively partecipate in the whole project defining and implementing the user centred design methodology (WP2, WP3, WP7) and collaborating with the technical parts of MyAHA system (WP4, WP6). ISMB contributes in horizontal workpackages WP1 (management) and WP8 (dissemination and exploitation). For several years, Marco has managed projects in the e-health field, i.e. the introduction of new ICT solutions in healthcare and in social welfare. In his career, he has covered coordinating roles as a project manager in several European, national and regional projects, as well as technical roles in the field of electronic design (hardware and firmware) and in system integration activities. Since the beginning of 2014 he has been Head of the Strategic Program Smart Health (together with Smart Energy and Smart Cities, Smart Health is one of the three main research’s topics within the research center where I work). His work consists of the coordination of research activities and ongoing projects, in order to respect performance objectives and ensure a correct scientific level; of the coordination of human resources allocated to the Program and in ongoing projects; in the preparation of funding proposals for EU and national research calls. Marco leads work package WP5 – smartTV and mobile services – coordinating the activities for the developing of the cognitive games and the exergames based on the smart Tv and the mobile devices. In addition, WP5 provides the “my personal dashboard”, the application used by the users (primary and secondary users) to manage and to follow their health status and the assigned intervention programs. Marco is member of the PMB (Project Management Board) and the IC (Innovation Committee) of my-AHA project. In 2010 she got a bachelor degree in Biomedical Engineering at Politecnico di Torino with a thesis about “Management of medical technologies in ASL TO3”, working at Clinical Engineering Service of E. Agnelli hospital, Pinerolo. In 2013 she took the master degree in Biomedical Engineering, with a thesis about “Solution for motor rehabilitation of Parkinson’s patients, based on Microsoft Kinect technology”, working in collaboration with Istituto Superiore Mario Boella. Since 2013, she has worked as a researcher at Istituto Superiore Mario Boella, in the Strategic Research Program Smart Health. Research activities are in the matter of developing rehabilitation solutions for patients with chronic and neurodegenerative diseases, especially using technologies as Microsoft Kinect. 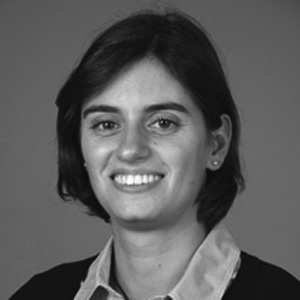 Chiara is mainly involved in all the tasks of WP5, developing the cognitive games and the exergames. Psychologist and Master in Ergonomics, she works as User Experience Researcher at ISMB, in the Mobile Solutions Research Area, focusing on the design and development of innovative mobile services. 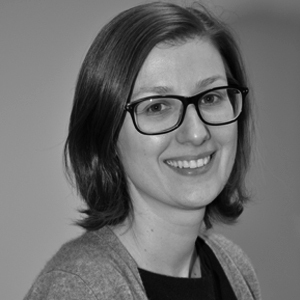 Expert in Human Centred Design, she have been participating to National and European research projects, leading user studies, participatory design activities and field trials involving real users and stakeholders. As member of the Human Factors Technical Body of ETSI (European Telecommunications Standards Institute), she participated to standardization projects focusing on the Personalization of ICT products and services and eHealth systems. Since the 2003 she collaborates as lecturer at several universities, both national (Università di Torino, Politecnico di Torino) and international ones (Universidad de Vic, Espana, Universidad del Azuay, Ecuador). Since the 2014 is member of the National Board and Regional President of SIE - Italian Society of Ergonomics. 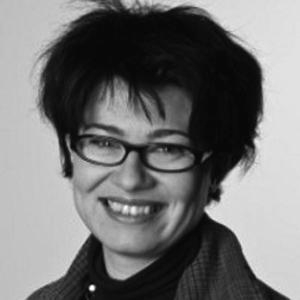 Antonella leads the task focused on the design and development of UI and of the appropriation support strategies (e.g. reinforcement, collaborative, competitive) to stimulate the users in having positive behaviors. In particular this task is concerned with the study and the implementations of methods to support users to create their personal information space. Futhermore Antonella leads the activities for the definition and implementation of the multi-modal interation components consisting of a smartTv UI (User Interface) and a mobile UI that are needed to facilitate long-term interaction. The Johanniters’ role in the project consists in the end users’ involvement and therefore contribute in the end users’ requirements analysis at the very beginning of the project and later provide a test region with about 100 persons in Austria and coordinate several testing facilities across Europe. Further, the Johanniter support in ethical considerations about technological consequences and recruitment and field management and takes care of the reliability of project results. As research center as well as service provider the Johanniter are interested in scientific and public dissemination of the project (results) and in implementing a new service offered to its clients that is based on the my-AHA. The research center is mainly active in the field of Active and Assisted Living, eHealth and mHealth and therefor partner in national and international projects funded by the European Commission and/or by nationwide funding programs. The expertise of the research center is assembled by knowledge in communication science, psychology, philosophy, care science, ethics, jurisdiction and economics. Mag. Georg Aumayr is Head of the R&D Dept. of JUH, since 2007 member of the JUH as volunteer emergency medical technician, researcher and project manager at the Research Institute of the Red Cross and experienced in EC project work - project manager on SOFTCARE and AHEAD (AAL Joint Programme), Personal Emergency Card (EHR) and PIK (national security research program KIRAS), as well as a researcher in CAST (FP7- Security) and diAALock, (national AAL Project), Electronic Care Documentation and is part of eHealth Initiative for AAL and interministerial advisory groups for the federal government of Austria. Gudrun Haider is researcher of the R&D Dept. of JUH. Studied business administration and has a master degree in care science. Since 2009 researcher at the Austrian Red Cross, Dept. of Health and Social Services. Experienced in project work as researcher and in project management: EU-projects IACS (PROGRESS, 2009) and MILCEA (Monitoring in Long-Term Care. Pilot Project on Elder Abuse) and AHEAD (AAL JP, 2013). Projects on national level: diAALock (benefit, 2013) Interessengemeinschaft pflegender Angehöriger (En. : Carer’s Association; funded by the Austrian Social Ministry).